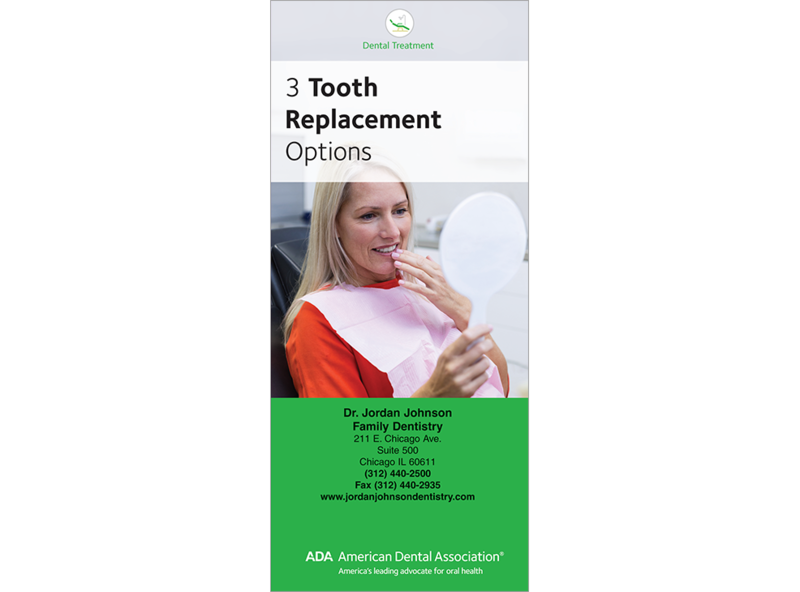 This best-selling booklet has been updated to help you and your patients more thoroughly review each available option for tooth replacement. This booklet can be used as an additional resource to help them understand their options more easily. Covers benefits of implants, fixed bridges, and removable partial dentures. Includes glossary of terms to ensure patient understanding. Brochures are 12 panels and measure 3.5" x 8.5". Minimum order 150. Click Add to Cart then personalize for free. Now you can add personalized information on the front, back, or both covers on all brochures.